Today is National Scrabble Day which always falls on April 13th as it is the inventors birthday! 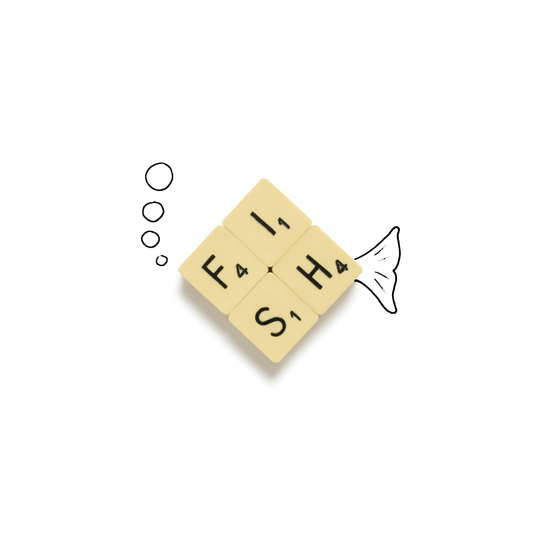 Scrabble was invented in 1933 by Alfred Mosher Butts and is one of the most widely recognised games in the world. 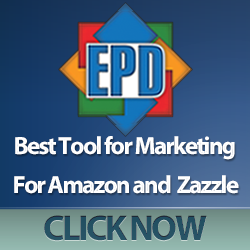 It’s played in over 100 different countries and is available in 29 different languages! 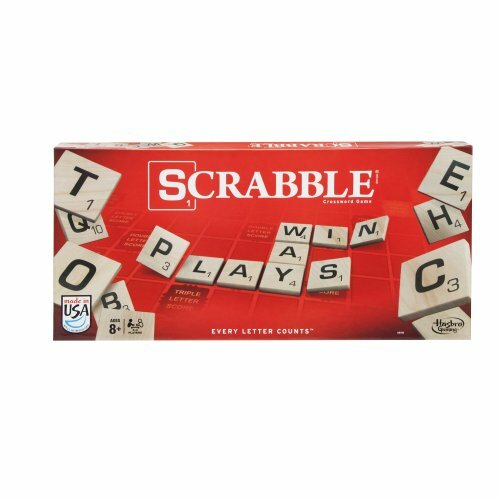 I love a good game of Scrabble and we used to play as a family regularly. I haven’t played for years now though, might have to challenge Cold on my next visit! 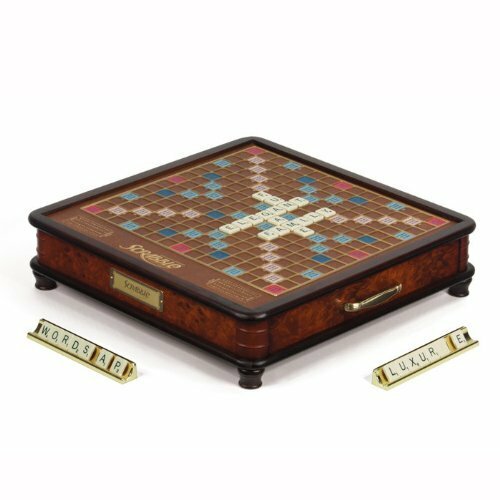 These Special Edition, luxury Scrabble sets are stunning. The wooden game cabinet has a faux-leather surface and inlaid wood panels on the drawers to keep your game pieces in as well as gold-plated tile racks! What a centerpiece that would make! 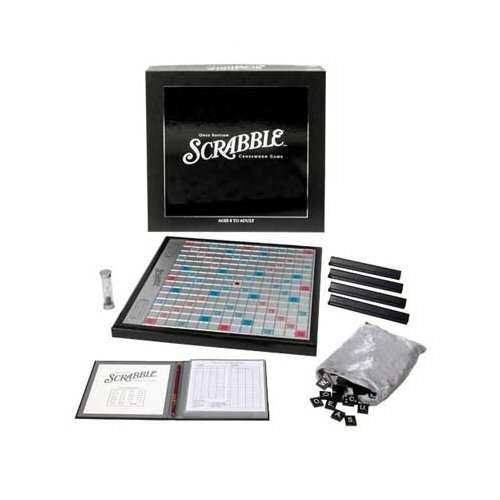 The next three Scrabble sets are also special editions – Pearl, Onyx and Platinum. Each board has a different color trim and a coordinating tile bag and tile racks. They all have a raised grid area to help keep your letters in the right places and they all have a rotating board too. I think my favorite is the sleek Onyx board but then I have a penchant for black anyway! 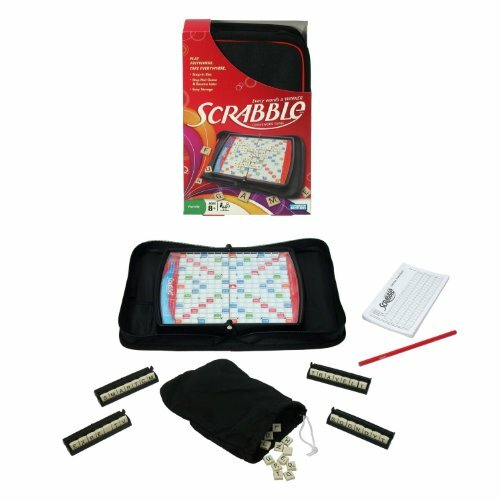 This selection includes two versions of a travel Scrabble set – the Folio Edition comes in a zip up case which holds everything you need to play on the move. The snap-in tiles means that you can pack it up in the middle of a game if you need to and resume playing later. 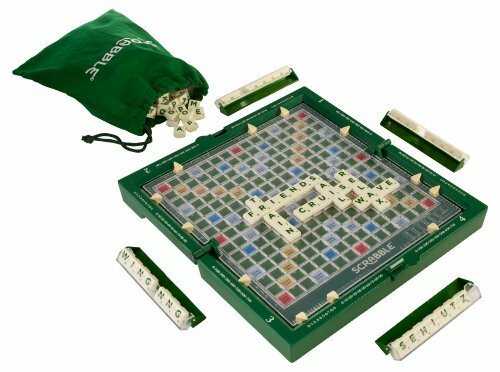 The Travel Scrabble set is similar but comes in a molded plastic carry case. The tile bag and racks fit inside and there’s no need for pencil & paper for scoring as it has a scoring system built in to the sides of the board. 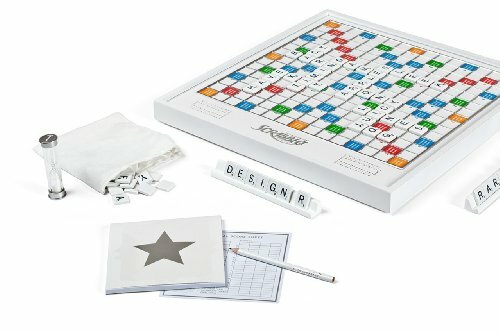 I’ve seen many Scrabble tile necklaces over the years so I thought I’d have a look at what other Scrabble themed gifts were available. 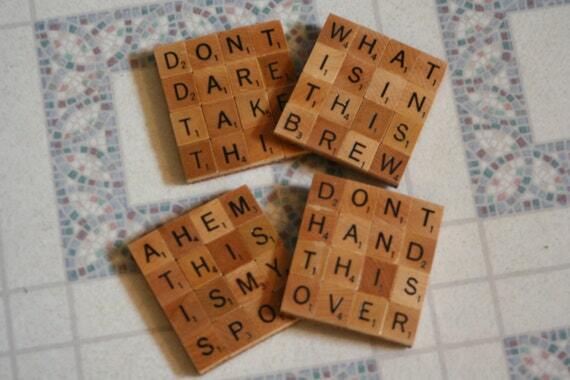 I love these Scrabble Tile coasters and even better, you can personalize them too by contacting the shop owner. The bracelet caught my eye because of the nerdy word but I love the idea of hand punched Scrabble tiles in aluminium. 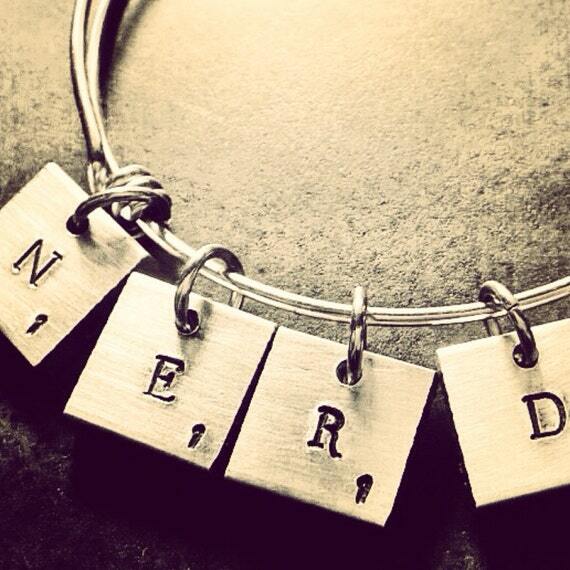 Again, you can have this bracelet personalized if you prefer. 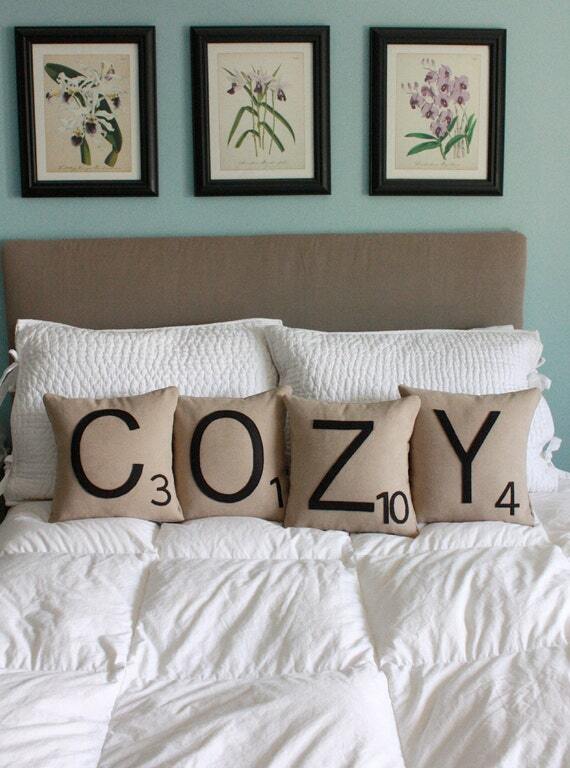 There’s a whole range of Scrabble tile throw pillows available but this set of four, spelling out the word Cozy, would fit so well in any home. I like them as shown on a bed but they’d look equally great on a sofa. 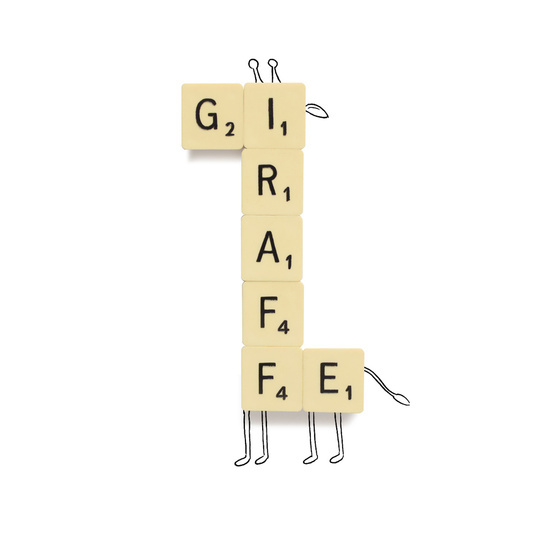 Scrabble is so well known worldwide that I knew there would be some gorgeous Scrabble based wall art available. I love the cute giraffe and fish ones – they would look great in a child’s bedroom perhaps. 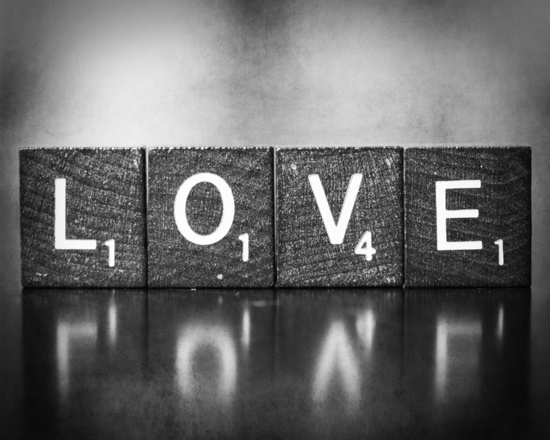 I’m also a great admirer of simple black and white photographs and this Scrabble tile word art features one of my favorite words – Love! It is indeed a beautiful word and the simplicity of this art print is beautiful too. 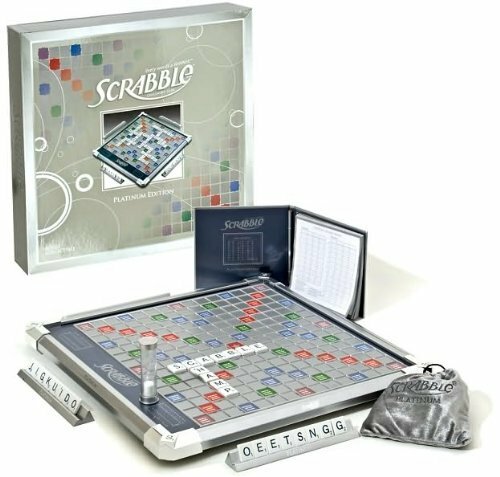 I hope you’ve enjoyed this look at Scrabble sets and gifts but if Scrabble is not really your thing, check out our posts on Monopoly Games for Geeks, Chess Sets for Geeks or Tabletop Card and Board Games. There’s a board game for everyone out there somewhere! We’d love to hear what you think. Feel free to leave a comment below about your favorite board game. maybe we’ll go find some cool gift ideas for you too.